What is Woof & Brew Bottom Sniffer Dog Beer? 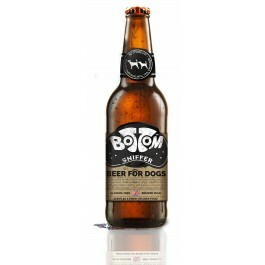 Woof & Brew Bottom Sniffer Dog Beer is a non-alcoholic, non-carbonated treat drink specially formulated for dogs. Not only can your four-legged best friend join you for a relaxing tipple, but due to the blend of specially chosen ingredients, they can feel the benefits of this healthy, herbal infusion too. 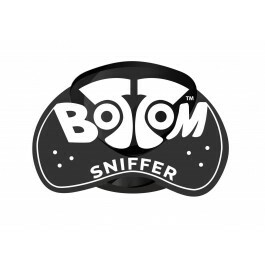 The inclusion of Dandelion & Burdock not only adds a touch of goodness to this doggy treat, they also add to the unique taste that is Bottom Sniffer. Woof & Brew’s Bottom Sniffer has been created with the advice of veterinary experts and taste-tested by dogs. This unique blend of herbs help towards aiding general well-being. The brew contains herbs such as Bladderwrack and Nettle which are rich in iron and iodine - known to be great for skin pigmentation and coats. It also uses Rooibos and Dandelion, which are known to be rich in vitamins, minerals and antioxidants. What are the benefits of using Woof & Brew Bottom Sniffer Dog Beer? What is in Woof & Brew Bottom Sniffer Dog Beer? Composition:Non fermented beer wort from concentrate (Barley Malt, Water, Acidifier Citric Acid), Bladderwrack (Seaweed) Extract. Natural Chicken Flavouring, Burdock, Dandelion, Flax, Nettle, Rooibos. How do I serve Woof & Brew Bottom Sniffer Dog Beer? Bottom Sniffer is best served over food, offering the perfect 'au jus' but can also be served as a drink.